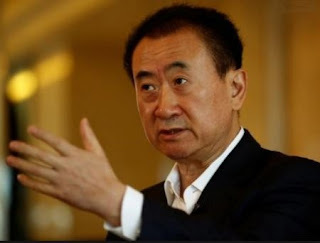 China's Richest man, Wang Jianlin, founder and chairman of Dalian Wanda Group says he is in search of an heir to his $122 billion empire as his 28-year-old only son has refused to take over his business. Jianlin said his only son, Wang Sicong, doesn’t want to take over his shopping centres, hotels, theme parks and sports clubs. He said this while speaking at an Entrepreneurial summit in China over the weekend. “I have asked my son about the succession plan, and he said he does not want to live a life like mine. Perhaps young people have their own quests and priorities. Probably it will be better to hand over to professional managers and have us sit on the board and see them run the company,” Wang said. According to South China Morning Post, Wang Sicong is a director at his father's empire, with a 2 per cent stake. He founded Prometheus Capital in 2011 and has made investments in Invictus Gaming, Dining Concepts Holdings.